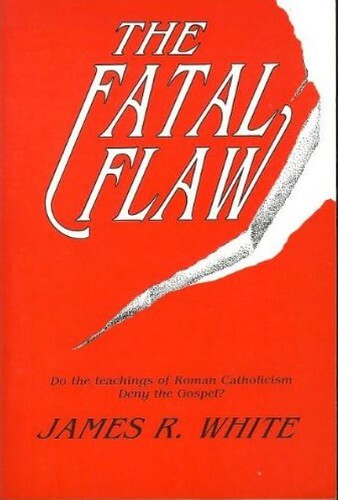 A Snyder’s Soapbox Review of, “The Fatal Flaw: Do the teachings of Roman Catholicism Deny the Gospel?” Kindle edition, by Dr. James R. White. I know this book has been around a while, and it isn’t a very big book, but it is new to me, and possibly to some of you. This is such a useful book, I figured you should know too. By now I think it is obvious that I agree with much of what Dr. White writes. I find his work to be accurate, nuanced, and properly tempered by scripture. It is scholarly, includes bibliographies of cited sources, and still completely suitable for the laymen. This book is no different. Dr. White cites long tracts of text from Vatican II, and the Council of Trent. This way nobody can claim that the citations were out of context, or twisted. The focus is on the Roman mass, and purgatory, as well as the ramifications they have on the work of Christ, the gospel, the authority of scripture, objective truth, the doctrine of justification, and your eternal destination. I would recommend this book for your Christian library. I think it distills the essential differences between the Roman works righteousness system, and the true gospel of Christ, and His imputed righteousness. This book would be great as a hand out to people who are in similar cults, like Mormonism, or Jehovah’s Witnesses. They would be able to see their own doctrine as very similar to that of the Roman system. You can get your copy of the kindle version here, or the paperback. This ISBN number is for the paperback.